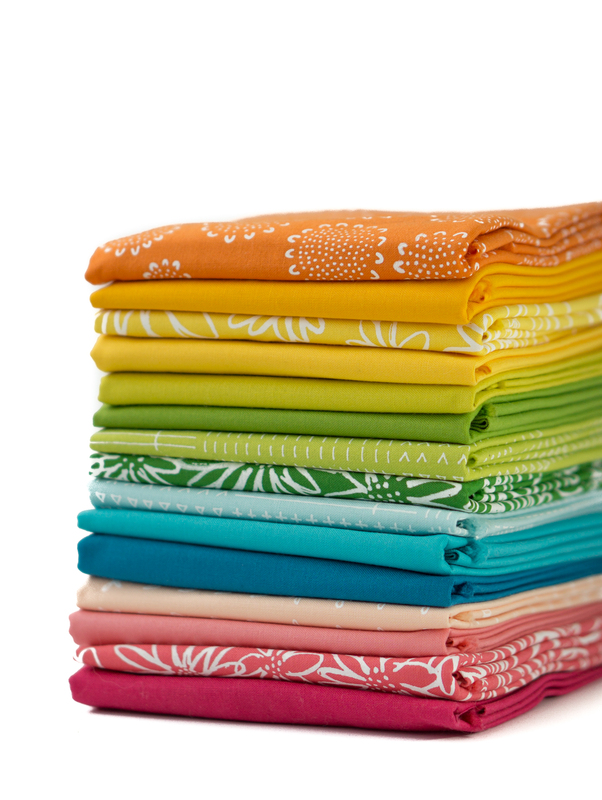 This is a wonderful bundle of half meter (50 x 110 cm) happy fresh rainbow fabrics. 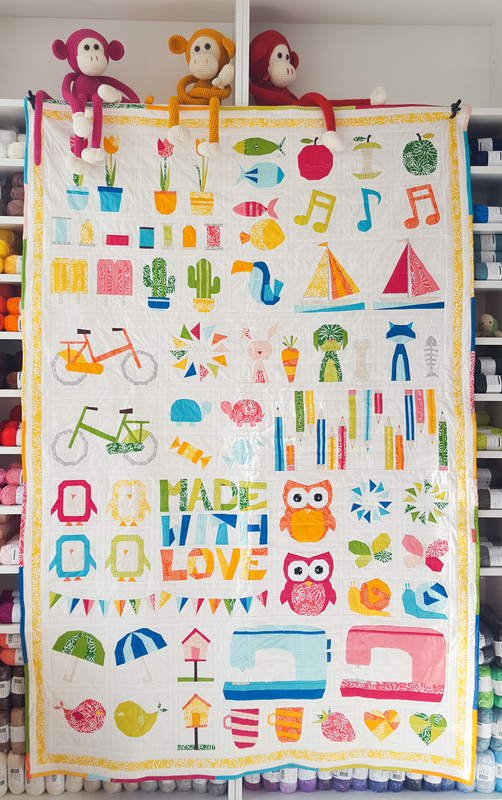 piecing patterns: a bike, an owl, pencils, tulips, a penguin, musical notes, a cactus, a sailboat, a sewing machine, and many more. With more then 35 different blocks in over 80 different patterns, the Sugaridoo Sampler gives you endless quilting possibilities. With all these blocks, and the different quilt layouts, it becomes easy peasy to create your own sampler. 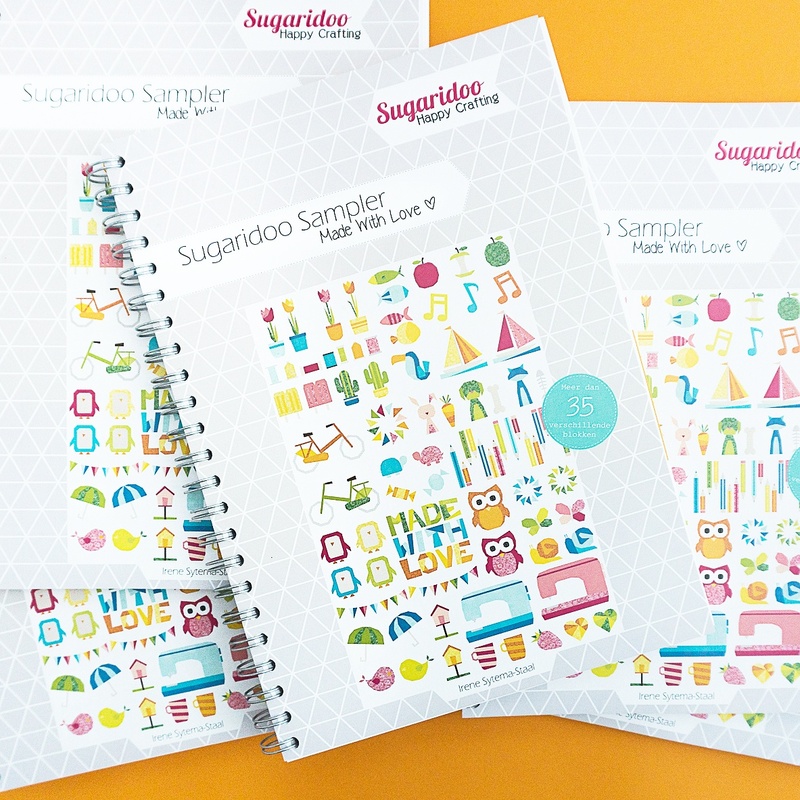 The Sugaridoo Sampler is a book full of paper piecing inspiration that will make you want to jump behind your sewing machine right away! Pleas select the items you want to add to the fabric bundle if you wish to make the whole Sugaridoo Sampler quilt.